Who were our first business people? The Miwok families were the first people to live in the Cosumnes River area. Their main home was at Yosemite, but they traveled north on a regular basis. They came here for food, mainly salmon and acorns from the wide variety of oak trees on the Cosumnes River. They traded with other Indian groups in the Stone Lake and East Franklin regions. 1840 – Who were the people of business during the Spanish and Mexican times of California? The Spanish started the missions, but none were established in this area due to flooding of the Cosumnes River. In the 1840s, the Mexican government awarded a huge land grant, up to 18,000 acres, on the north side of the Cosumnes River to Jared Dixon Sheldon. It was the Omochumnes Land Grant bordered by Grant Line Road that is still there today. Sheldon and his partner, William Daylor, were our first agriculturists. They had a variety of crops as well as cattle. 1848 – Who were the people that started businesses during the gold days? Gold fueled all the businesses of the 1850s with stage stops all over and Sheldon’s wagon making business at Grant Line and Excelsior roads. 1850 – What did James Hall do? Hall had been a gold miner, and he opened what he called the Elk Grove House (Stage Stop) on the east side of the Monterey Trail, the route from Sutter’s Fort to the Mexican capital of Monterey. It became known as Stockton Road in the busy days of gold and is now Highway 99. Th is was the first official business in Elk Grove. The building was torn down when the freeway was constructed, but it was rebuilt by the Elk Grove Historical Society and serves as a museum today. A second stage stop soon aft er Hall’s was just a short distance north at what is now the intersection of Elk Grove Boulevard and Highway 99. This became the second site of Elk Grove and a major business center in the mid 1800s. Other businesses grew up there including a blacksmith shop, a Chinese wash house, and the first Masonic Lodge building. Gold miners who tired of their search for riches, and some who made enough money from it, invested in farm land. That was a major move into agriculture in the south Sacramento County/Elk Grove region. Grain and cattle were the main areas of focus. 1868 – How were Joseph and George Harvey Kerr connected to early day business? Huge changes happened aft er 1868 when the Western Division of the Central Pacific Railroad came through from Sacramento to Stockton. Wagons were no longer needed as rail travel took over. The railroad tracks ran through the properties of Joseph and George Harvey Kerr, but they missed the little town of Elk Grove that was a mile or so to the west. A depot was built by the railroad tracks, and the road between the Kerr Brothers acreages became Main Street which is today’s Elk Grove Boulevard. 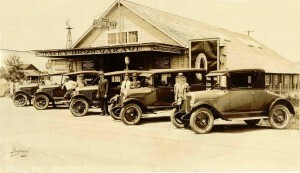 The Cox Brothers opened a store in the depot, and that was the beginning of the march to business in the new Elk Grove. 1876 – What did Julius Everson do that was very forward thinking? The first business organization was created by Julius Everson, an enterprising merchant who saw the future along the railroad tracks. 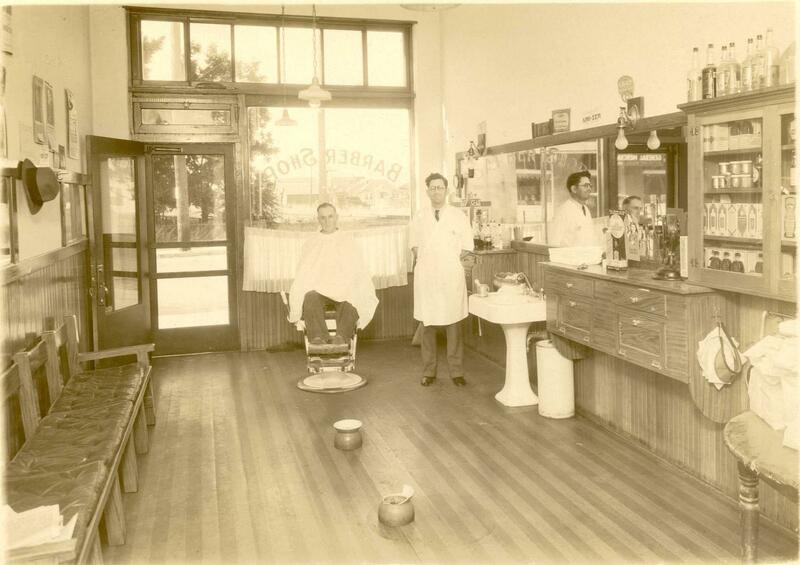 Everson and his partner, Mr. Chittenden opened up a general store and they had sales of $52,000 within 16 months. Others joined him to create the Elk Grove Building Association. This was the predecessor to the Elk Grove Chamber of Commerce. 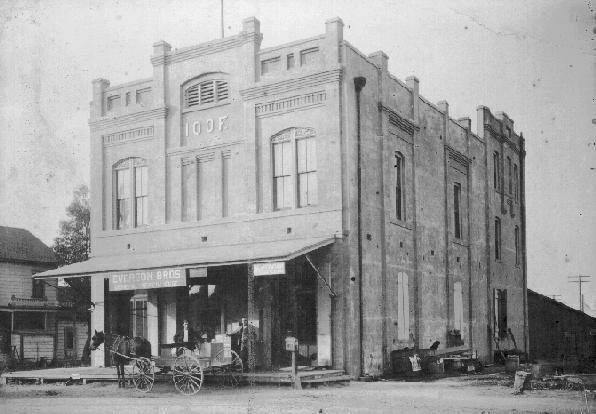 By 1880, there were many businesses in the new Elk Grove: two hotels, the flour mill, two general merchandise stores, Central Pacific Railroad depot, Wells Fargo & Company’s Express and Telegraph Company, a furniture manufactory, hardware and tin store, meat market, two drug stores, harness shop, variety store, warehouse for grain and hay, dressmaking establishment, two millinery stores, shoe store, carriage and wagon manufactory, and a blacksmith shop. By 1900, there were more including the Toronto Hotel and Saloon, the Masonic Building, the International Order of Odd Fellows building, and the Iron Jaw Saloon. 1911 – Why was P. Milton Smith such a visionary in regard to business? Enough people agreed with Mr. Smith that a group met in the Bank of Elk Grove and selected a committee to meet the special train of the San Francisco Chamber’s Wholesale Trade Excursion. On that train were key personnel from San Francisco’s leading wholesale mercantile, manufacturing, and banking institutions who wanted to meet the business people in the mining counties. Next was the organization of the Elk Grove Board of Trade in 1912. They tackled community issues such as electric lights, parks, a fire truck, and the installation of a macadam road from the town to Upper Stockton Road. One of the tasks they assigned was turning the new street lights on and off each day. These businesses were mentioned in the article: Cheese Factory; Elk Grove Creamery; Newman Brothers; Elk Grove Nursery; Tribble Brothers; California Vineyards; John Elliott Company; Elk Grove Winery, J. L. DaRoza; Bank of Elk Grove; the Macy Block; two blacksmith shops and three general merchandise stores; and the new Gunther tract of housing. 1945 – What were the roles of Bryan Miles and Lester Beach in promoting business? Several organizational attempts were made in the 1920s and 1930s, but in 1945 Bryan Miles and Lester Beach organized the Elk Grove Businessmen’s Association. The group met at the Masonic Hall and for the first time, women played a role—they baked cakes and served coffee to the 10 businessmen who came to the first meeting, and likely others as well. Some interesting comments were in the minutes of the meetings of this group such as “membership limited to men”… and “individuals not business groups”…. There was also a reference to the now extinct Chamber of Commerce which implies that the Businessmen’s Association took the place of a previous Chamber of Commerce. installing an electric blinker signal at the elementary school crossing, endorsement of the Sacramento-Yolo Port Project, authorizing $100 for a sign in Old Elk Grove, getting a crossing over the railroad tracks, unification of the elementary school district, and sending a worthy boy (or more) to the YMCA summer camp. They also discussed the rapidly growing Batey Chevrolet new car dealership located on Elk Grove Blvd. near Kent St., population and new residential subdivisions, setting aside a portion of the park for residents and taxpayers of the local district, having a softball team in the County League, how the passage of the bond election would result in having sewers, the poor service of mail delivery, protesting the installation of a feed business at a triangle at the south end of Park Road, arranging for the Boy Scouts to put up the flags on holidays, passenger and mail service from the Greyhound Bus (that stopped at the Cemetery), establishment of the Blood Bank, putting a flagpole in front of the Court and Library building, advertising in the high school newspaper, the Antlerette, and placing stop signs at Crazy Bridge (Waterman and Bond). Ladies Night was established as an annual event, and the “Defunct Elk Grove Men’s Club” presented its entire assets of $68.55 for some worthy use. 1952 – Why are Tom Karamanos and Burt Green credited with being the founders of the Elk Grove Chamber of Commerce? Tom Karamanos suggested to the group of 25 members that they reorganize themselves into a chamber of commerce. And that is what they did in 1952. Under President Burt Green, the Elk Grove Chamber of Commerce was incorporated. On their first agenda were these topics: requesting the Southern Pacific railroad to allow off street parking on their property; the need to install 4-6 miles of curbing; approaching the sheriff to assign a squad car to patrol the south end of the county at night. Carl Amundson announced that he had received the final approval for the Cow Palace Theater! Elk Grove Chamber of Commerce has come a long way and now represents businesses in the growing city of Elk Grove and the surrounding area.